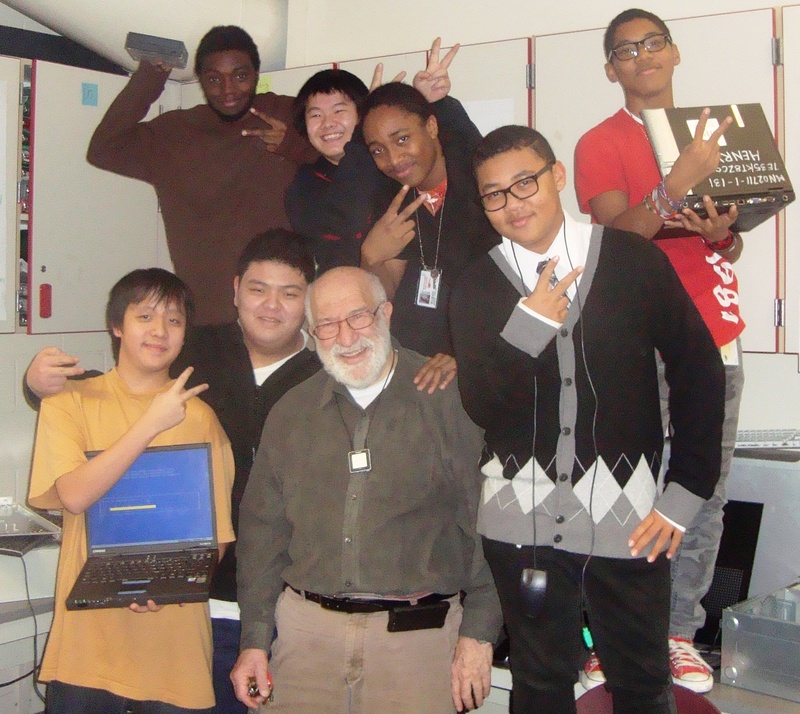 The President of the Underground Nation surfaces with his associates to announce their Strategic Plan for this new, enthusiastic computer refurbishment student led program at Patrick Henry. Underground Nation is a group of 12 - 15 Patriot students who refurbish computers. We then give our those rebuilt computers to students who don't have computers. Mr. Sylvestre is our faculty coordinator and Eli is a volunteer. Basically we accept any kind of a computer and then fix it so it works faster and so anyone would want it. What is your background with computers? All of us began to take apart computers at different ages, some fourth, some sixth, and some seventh grade. How do you refurbish a computer? You begin by taking the computer apart and then adding more memory or replacing the RAM. At some point we reimage the computer with a new operating system (Windows 8). We hope that all of our members have fun. We're hoping to limit our membership to 15 because of the small space we have in Room 38 . We're all members of Robotics as well. We would like to try and refurbish 40 computers this year. Our goal will be to build up our name so that we can get even more high-end restored computers into the hands of our families that need them. We're also thinking about adding phones to our list of things that we can refurbish. Of course, we would love to have a corporation adopt us and help us pay the bills. What will you all do when you graduate? We're in the process of trying to find funding to keep Underground Nation going even after we graduate. Go to college and learn more about computers and networking. I would like to become an automotive technician with an emphasis on computer technology. What do you all need? Computers and computer parts (Hard drives such as SSDs, RAM with more capacity). If you get a computer for the Holidays, give us your current computer. Names of students and Patriot families that need a computer. Each time we give out a computer we come a little closer to eliminating the digital divide. Who are your computer heroes? Bill Gates, Steve Jobs, and Michael Dell all started their careers doing exactly what you guys are doing. Which one(s) of those guys do you want to model yourselves after? We don't really have any inspirational figures that we're trying to model ourselves after. We're just doing this our way--mostly on our own.